I laugh out loud when I hear those earlier in their careers state that those more advanced in their careers find it difficult to move to new technologies and workflows, that many don’t even want to, or are thought of as being resentful of making any changes to the way they have always worked. This is unfortunately a common perception, and I am sure I must have made the same assumptions earlier in my own career when I was that young gun moving from drawing boards to the new world of CAD, not understanding why my older colleagues were not so keen or excited to embrace the latest offerings from fledgling technology companies like Autodesk. But let’s just stop for one minute, aren’t we referring to the same individuals who are now tied to their smartphones, use satellite navigation to get from place to place, buy products online and in many cases purchase the very latest technology available? 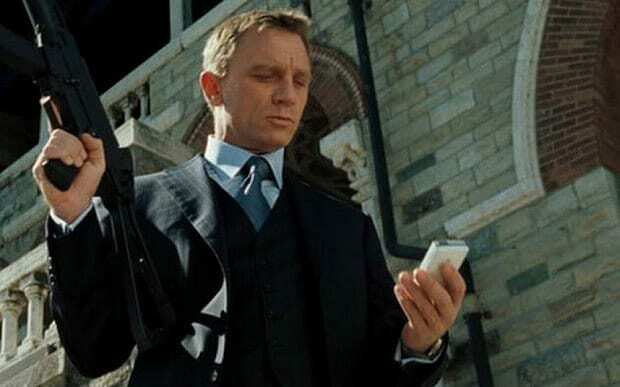 At the age of 50, Daniel Craig is about to play James Bond 007 once again, which portrays a spy using the latest technology and the most advanced cars. Are cinema goers going to say that he is too old to learn any new technology provided by Q? Okay, yes, I'm being slightly flippant, but my point is, we may assume that those further in their careers cannot, or will not, learn new technologies and workflows. This is simply wrong. So, let me try to back up the above claim. It is well established in academic research that older workers are less likely to participate in training (Rosen and Jerdee 1976; Chiu, Chan, Snape and Redman 2001; Maurer 2001; Posthuma and Campion 2009). Ageism is considered very discriminatory but is still evident and can potentially have a negative impact on organisations. When management adopt a stereotypical view of the learning attitudes of older workers, companies are less likely to invest in training or development opportunities for older employees. This will result in older workers become less confident in their training abilities, their skills rapidly become out-dated, and their productivity is adversely affected (Maurer 2001; Van Vianen, Dalhoeven and De Pater 2011). This doesn’t help anyone. I personally believe that another factor should also be considered; older workers benefit from years of experience based on equal measures of success and the resolution of difficult challenges. In my experience, they will typically question things based on past experiences when compared to those earlier in their career, who often see opportunity at every juncture. If you are still reading, get ready for a big shock. Research suggests that the age when companies consider investing in employee’s as less desirable is not 60 or 50, but actually just after your 40th birthday! There are different research results but typically it falls between 40 and 45 years of age. If you are at, or approaching 40, and reading this, do you feel that you’ve had less training and development opportunities? Or do you feel resistant to change, obstructive or unable to learn new technologies? To further support this, the following referenced research study stated that companies begin to invest less, including in terms of training and development opportunities, when workers reach the age of 45 years. This is frequently viewed as the beginning of the final stage of the worker’s career (Schein 1978; Maurer 2001; Van Vianen, De Pater and Preenen 2009). I would personally challenge this, because people in the UK potentially work until the age of 67, which means there is 22 years of someone’s career that could be undeveloped and left behind. Let’s compare that to a University graduate entering the workforce at say 22 years of age who would potentially work for at least 47 years. Doing the maths, at 45 years of age you would still have 47% of your career ahead of you, I would not consider that a final stage. Let’s get back to my normal enthusiastic writing style. I started this blog saying I laugh when I hear ageist views that those more advanced in their careers cannot learn new technologies. The 007 films, with Daniel Craig, are based on a changing world where James Bond is considered out-dated and a dinosaur in a modern constantly changing world, but of course he always succeeds and wins. In the real world of construction, we see in the press constant reports of skills shortages, a need to keep expertise in the industry and of course individuals working for longer and having extended careers. At the same time, the Construction sector is embarking on rapid change, a digital transformation and change management process that is both disruptive and collaborative at the same time. Can we afford as an industry to allow one of our greatest resources to fall behind due to a lack of investment in training and support? For employers, the investment in staff over the age of forty, is investment in employees who are typically less transient and will fully commit to organisations. They are widely experienced but let’s all be honest, this demographic of staff are often not the first ones to shout out they need training in the latest processes or technologies. Yes, I am blaming employees and employers equally here. First of all, employees, you have many work years ahead (sorry) and just think how much has changed in the last 10 or 20 years of your career, you need to start shouting out and not assume you should naturally know about all the latest technologies and workflows. With the increased importance of BIM, this hasn’t slowed up. Over the last few years we have watched the industry seek to understand what BIM is beyond 3D modelling, and how it can help them. The best way to learn many of the aspects is to attend BIM training sessions. Even if you’ve been using CAD or BIM systems for many years, you are probably working inefficiently not realising that the software has moved on and there are quicker ways to achieve your goals and deliver outputs. Quite often in our BIM training courses, delegates’ feedback indicates this, which is provides real value and increased efficiency from attending a BIM training course. Employers shouldn’t assume ‘Janet or John’ isn’t capable of moving to new technologies. Don’t allow them to sit quietly passing a small part of their wealth of knowledge and experience to those newer in their careers, but at the same time wrongly accepting that they cannot be more efficient, embrace new technologies or assist in their implementation. One of my many mottos is “if something adds no value to you personally, for your organisation, for your projects or your Clients, just don’t do it”. When it comes to investing in BIM training and support for those staff later in their careers I can only see a Win-Win for everyone. On a personal level it allows employees to build upon or update existing skills and feel motivated. The organisation will benefit from increased productivity, the projects will benefit from staff who are able to apply years of industry delivery experience, and manage new technology assisted workflows. The Client will benefit from projects delivered by experienced individuals embracing the very latest technologies and leading a digital collaborative environment. Let’s be honest, if your more senior staff don’t understand BIM, Revit, Navisworks, BIM 360, etc. even at a fundamental level, are they going to drive adoption on projects? And those young guns who are early in their careers will not be able to drive adoption and change on their own. After everything I have discussed within this blog, consider me, the author. I’m a Principal Consultant at Excitech working towards joining the grey brigade, and have worked for over 35 years in the construction sector. I have a passion for technology which has never faded; at home I convers with Amazon Alexa which controls my lighting with my voice, I use a robot vacuum cleaner, I'm a PS4 gamer, and I'm researching a PhD in Data Quality in Facility Management. My career has transcended Drawing Boards, CAD, 3D Modelling and BIM, and I will continue to look forward but knowing we can always learn from the past. Excitech provides a wide range of BIM training courses from BIM Workshops, BIM Documentation writing retreats, COBie delivery course to specific technologies such as Revit, Navisworks, Civil 3D, and so on. To give delegates an overall view of BIM, we offer a “BIM Workshops and Fundamentals, Processes and Procedures” training courses that are designed to provide a general understanding of the principles of BIM Level 2. During the training courses, delegates are guided through all BIM Level 2 standards, specifications and guidance in order to develop an understanding of what information should be managed, delivered and used throughout each project stage from design, into construction and finally during operation.